We have kittens available at the moment. They will be ready to leave mum at 12 weeks, which will be mid November. 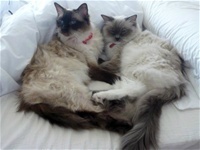 We have Blue and Seal in Mitted and Colourpoint. Our next kittens will be arriving in the New Year and ready for their new homes in the Spring. 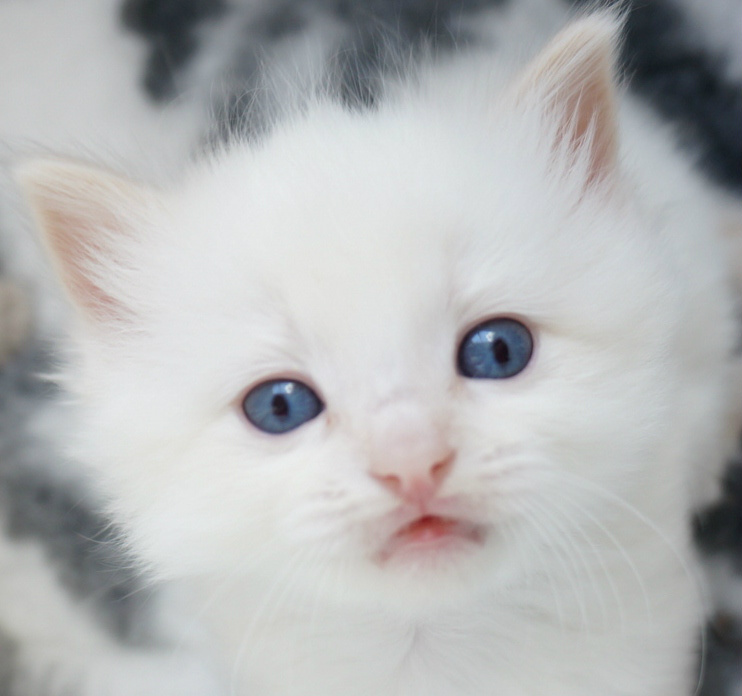 We sometimes have available, rare beautiful Cream Points ( and Blue Cream Torties) with unusually deep blue eye colour. 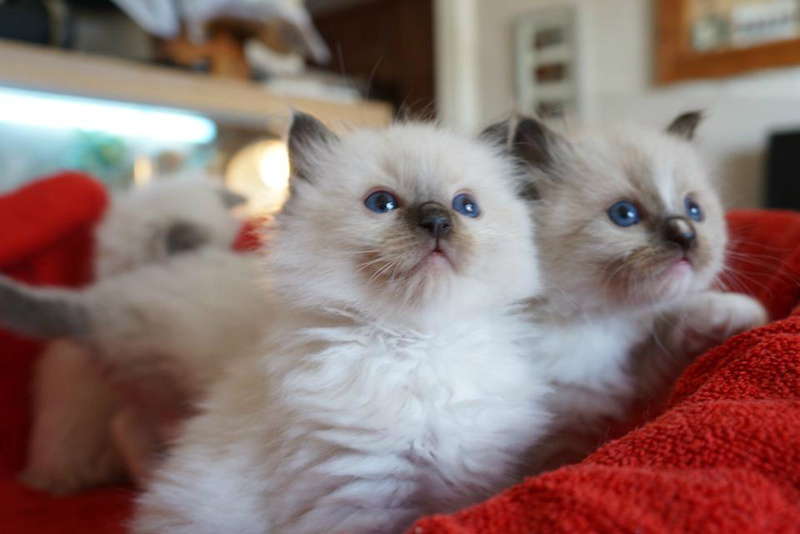 Mum Shawville Becky Blue: Blue Tortie Mitted and Dad: Raggadazel Merlin, Blue Colourpoint. Pria and her babies. 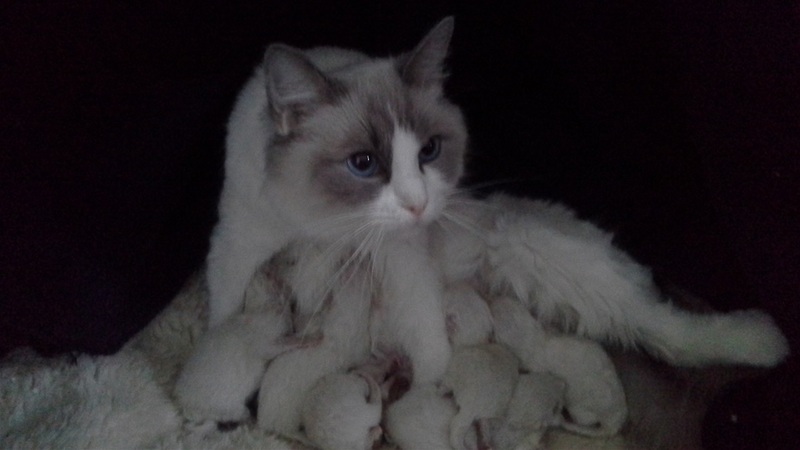 7 healthy kittens born 16.01.2015. Our first litter of the New Year!